On the grounds of the Jewish Agency’s summer camp near the Belarusian city of Minsk in 1993, the counselors decided an empty, abandoned and neglected swimming pool was the perfect place to hold an activity to mark the camp’s “Holocaust Day.” It was neither Israel’s Holocaust Remembrance Day, nor International Holocaust Memorial Day. Instead, it was just a summer’s day with activities devoted mostly to the Holocaust. Such days – along with days devoted to subjects such as immigrating to Israel, the Israel Defense Forces or Israel’s independence – were customary at many summer camps organized by the Jewish Agency in former Soviet Union countries in the 1990s. According to Semyon, the counselors stressed that they had not meant to upset anyone, but that they “just wanted to show you what happened to the Jewish people.” Semyon adds that the pool incident – which became notorious among Jewish Agency employees for many years – was a one-time incident. There is evidence, though, that the counselors again used the swimming pool as a way of presenting the Holocaust in later years. The educational methods the Belarusian counselors employed were by no means unique. In fact, in interviews with former campers and counselors, Haaretz heard that similar methods – which were meant to provoke a strong emotional impression from children and adolescents entitled to immigration to Israel who attended the summer camps – were common up until the mid-1990s at camps in all parts of the former Soviet Union, from Belarus to Kazakhstan and from Moscow to the Urals. The testimonies show that, among other things, there were role-playing activities at the camps in which the campers had to wear a yellow patch while the counselors dressed as soldiers. Counselors also built improvised memorials, labyrinths or museums – miniature Yad Vashems – that were aimed at arousing a strong emotional response from the campers. The elements for such a museum, which was set up at the camp before Holocaust Day, included candles; a lot of black cardboard, occasionally adorned with barbed wire; large-scale images of horrors from the Holocaust; moving music; quotations from Holocaust survivors’ memoirs; and recitations of poems. Campers engaged in a Jewish Agency summer camp activity in the 1990s. Many of the testimonies suggest that from the counselors’ perspective, crying was a sign of educational success: “If you didn’t make them emotional, you hadn’t done your job,” said one. 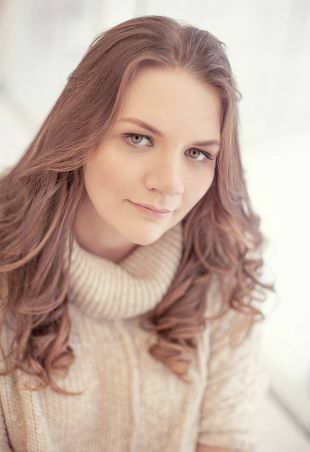 Katya Kupchik attended the Jewish Agency camp near the city of Kharkiv, Ukraine, in 1997 and later served as a camp counselor. She says the staff did not prepare the campers for Holocaust Day in advance (usually, one day of the seven- or 10-day camp session was devoted to the subject). The more experienced campers, who had attended the camps more than once, knew what to expect. Like a number of other campers and counselors with whom I spoke, Kupchik stresses that the counselors did not have evil intentions, and that educational methods at the camps have undergone significant changes in the past 25 years. But as far as the 1990s were concerned she says: “No one asked themselves what this was doing to the children, from what kind of families they had come, whether they even knew anything about the Holocaust. The original summer camps (or “pioneer camps” as they were known) to which many parents in the old Soviet Union sent their children during the long vacation – sometimes for a month or more in a remote location, without their mothers and fathers – were an important social and cultural institution, which had both advantages and disadvantages. With the breakup of the Soviet empire, this institution, too, disintegrated and the “Jewish camps” under the auspices of various organizations, first and foremost the Jewish Agency, filled that vacuum and were warmly accepted – both by the parents and the children. The campers and former counselors with whom I spoke, as well as people who are members of a nostalgic Facebook group devoted to the Jewish Agency camps, recall the camps as a delightful experience. Semyon, who attended Jewish youth camps beginning in 1991 and later also worked in them as a counselor, says that in the context of “the darkness in the streets, the food rationing coupons and the crime epidemic, the Jewish camps in the early ’90s were a bright spot. Kupchik says that for Jewish children like her, the camps were the first time they felt like they truly belonged. One of the methods used in the camps where Weinstein-Gross went as both camper and counselor – and where the youngest campers were 10 or 11 years old – was to suddenly awaken the campers in the wee hours. “We would wake them up in the middle of the night or before dawn, dressed up as soldiers. We’d take them all outside, shining flashlights, shouting something over the loudspeakers and conduct weird rituals,” she recalls. That was the opening signal for Holocaust Day events. She remembers the “Holocaust labyrinth” and the ceremony that was held after every child passed through it – sometimes during the ceremony, they would sit around lit candles arranged to form a Star of David – as an especially powerful emotional experience. 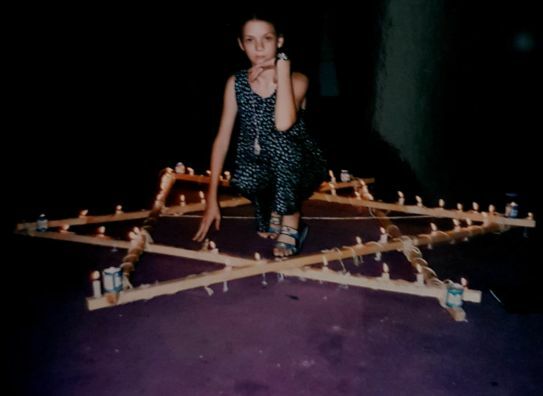 Yehudit Weinstein-Gross at a Jewish Agency summer camp in 1996 or 1997. Among former counselors, there are many different opinions and memories about the camp’s educational practices – especially with regard to teaching about the Holocaust. Some of the campers and counselors with whom I spoke don’t recall any special activities related to the subject. One person who was a counselor in Belarus at the time of the infamous swimming pool incident refused to respond to questions about it. Slava Kazansky, who was a Jewish-Zionist activist from 1989 and counselor at Jewish Agency camps in Belarus from 1991 to 1995, says the activities concerning the Holocaust were nothing more than a reflection of the way Holocaust Remembrance Day is observed in Israel. Kirill Demidov. "From time to time, someone was taken out of the room in quite a rough way." Kirill Demidov, now 36, was a camper at the Jewish Agency camp in the Russian city of Yekaterinburg from 1995 to 1997, and subsequently also a counselor at the camps. For him, the means of learning about the Holocaust were very tough. He cites an activity devoted to the Holocaust at a camp held on the deck of a ship, which sailed for two weeks on the Volga and Kama rivers. At the end of the activity, the participants were split into groups and the counselors gave them a kind of historical explanation of what they had just experienced. Demidov says the idea behind every activity was to make people cry. Many of the girls indeed wept, while the boys were also depressed. At other camps where Demidov was a counselor, gentler Holocaust games were introduced. He recounts, for example, a role-playing game that all of the campers had to participate in, where they had to answer dilemmas such as: Whom would you rather they killed – you or your child? Or whether, as head of a Judenrat, you would prefer to pay the Nazis or allow them to send 20 people to a concentration camp? “You play, you get points and in the end everyone dies,” says Demidov of the rules of the game. Sasha Klyachkina. "I returned from the camp with many questions, in the best tradition of informal Jewish education." Sometimes, similar experiences arouse completely different feelings among former campers. 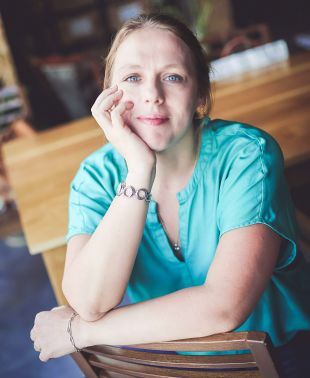 Sasha Klyachkina, 35, currently works in informal education, including as an emissary for the Jewish Agency. In 1996, she was a camper at a Jewish Agency camp near Nizhny Novgorod in Russia and soon afterward immigrated to Israel with the Na’aleh program (for teenagers making aliyah before their parents). “I returned from the camp with many questions, in the best tradition of informal Jewish education – impressions, musings about my place in the world,” she says, adding that she remembers a number of incidents connected to the Holocaust. “I can’t say they are ideally suited to the pedagogical principles that guide me today as I write programs or lesson plans for camps, but it really wasn’t terrible – it wasn’t the swimming pool, let’s say,” she says. Klyachkina also recalls a series of performances on the topic of the Holocaust that really impressed her. 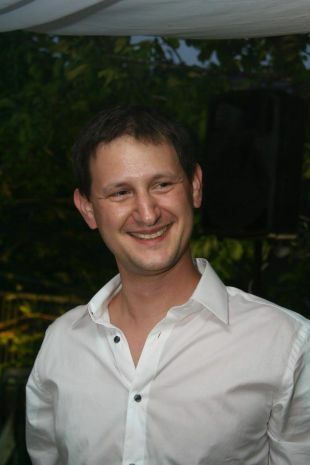 According to Michael Bogomolny, who directed the Jewish Agency department of informal education for Russian speakers from 2007 to 2015, and worked as a counselor and teacher in the organization starting in 1998, the context for the Agency’s activity in the former Soviet Union in the 1990s was all about immigration to Israel. “The rest was more or less an addendum,” he says. The content was built around “brutal or less brutal Zionism, and that was fine because in any case people were immigrating to Israel during that period,” he notes. 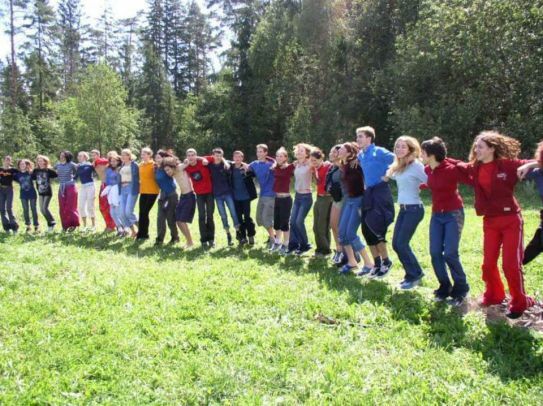 The counselors who were sent to the countries of the former Soviet Union – the majority of whom were young people who had just completed their military service – were not given any formal training but received only basic preparation: a weekend seminar. Bogomolny says the instructional materials that were distributed to them, which had been prepared by the Jewish Agency itself or by Beit Lohamei Hagheta’ot [the Ghetto Fighters Museum], were like instructional pamphlets explaining how to transmit a specific message to campers. Bogomolny adds that even though the Jewish Agency emissaries adopted the Israeli model, in Israeli schools the children were more protected because it was a formal setting. This paradigm changed in the early 2000s when the counselors in Israel, as well as in the countries of the former Soviet Union, began to undergo serious pedagogical training, based on humanistic educational models. Bogomolny believes one of the reasons for the change was the cessation of the significant influx of immigrants. The function of the Jewish youth camps underwent a transformation, from an auxiliary tool ahead of immigration to Israel into real centers of informal Jewish education. 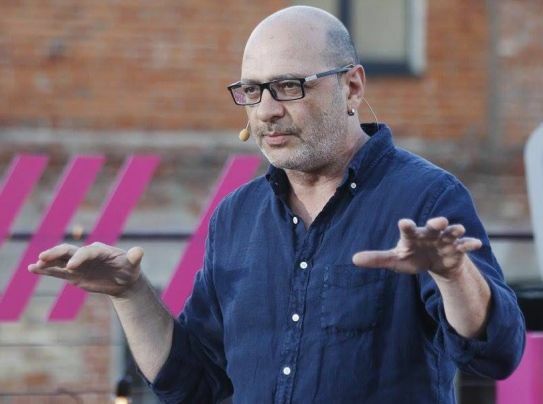 According to some of the counselors, one of the main harbingers of this transformation was informal education figure Dima Zicer, who is considered the guru of humanistic education (or person-centered education) in Russia. He served as a Jewish Agency emissary in St. Petersburg, worked to prepare and train counselors and, according to various testimonies, sought to root out the approach that had prevailed at the camps before he arrived. Humanistic education guru Dima Zicer. The Jewish Agency issued a statement in response to this article: “Our investigation shows that more than 20 years ago, counselors at some of the camps conducted activities on the subject of the Holocaust of the Jews in the former Soviet Union through powerful and unconventional means, in order to connect the campers to a significant aspect of their history and identity, which had been repressed for many years by the Soviet regime. This activity, which was conducted over a short period, was rejected and discontinued entirely at the end of the 1990s, following the realization that this is not the right way to teach the subject of the Holocaust. “Today, the educational activity at the camps is based on humanistic approaches that enrich the campers, alongside open and constructive discussion with each and every camper. As part of the lessons learned from experience, the subject is also studied in the training of educators and counselors as a way of understanding how not to conduct educational activity and to learn more restrained educational methods, even when touching upon difficult subjects.